Reddit Announces "Gifts For The Troops"
1. 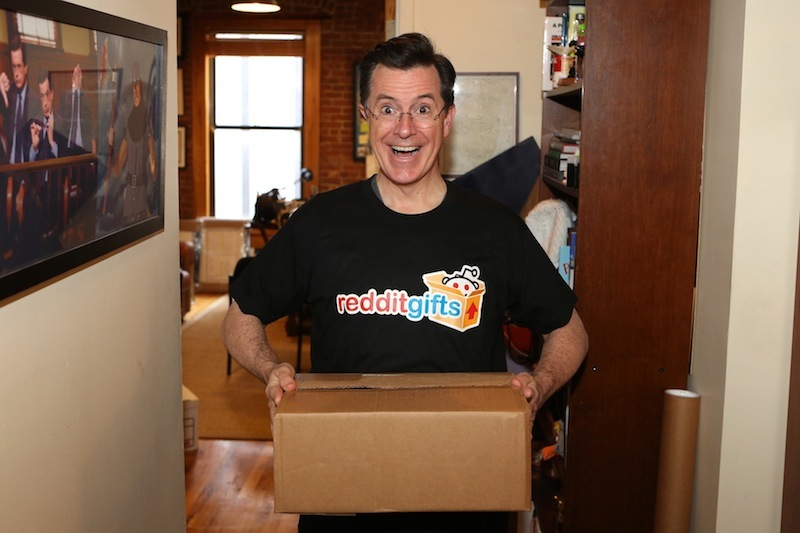 You sign up for RedditGifts (you need to have a reddit account). 2. You sign up for an exchange, if there’s one accepting sign ups. 3. You wait for your exchange to do matching. The project is doing something great for our troops overseas, and has announced a new initiative to match reddit community members with men and women who are in the military. The initiative even involves Stephen Colbert. Troops: Sign up below and let us know what kind of care package you’d like to receive. Santas: Sign up below to send a care package to a redditor in the Armed Forces. It’ll be like sending the troops a virtual high five through the mail — we’ve already got one redditor ready to ship! Signups start today and ends on June 18, 2012. If you decide to participate you must ship your gifts by July 09, 2012. The importance of a project like this can’t be overstated, as most of the folks in the United States tend to forget about the people who keep us safe every single day. This is a perfect example of how reddit’s community has grown over the years, and despite its size, it still feels like a close-knit group.